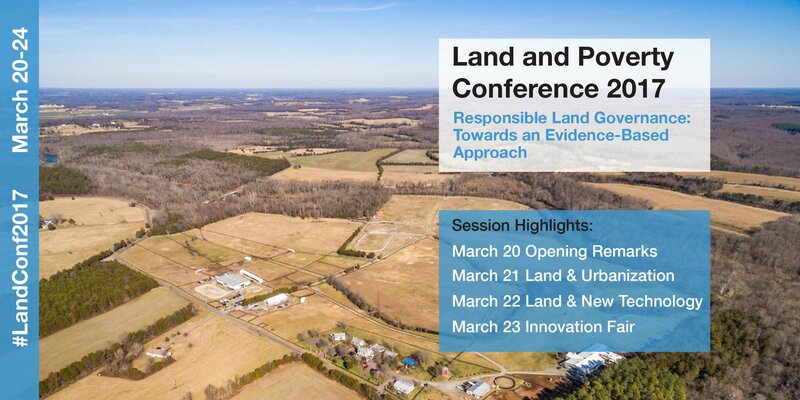 The 18th Annual World Bank Conference on Land and Poverty, “Responsible Land Governance—Towards an Evidence-Based Approach,” will highlight the latest research, practices and innovations in the land sector from around the world. As the premier global forum on land governance, the conference will convene over 1,200 leaders from governments, academia, civil society and the private sector to discuss the role that data plays in realizing land policy reform, identifying strategies for working at scale, and monitoring achievements. Find the full agenda and list of speakers for the conference here.